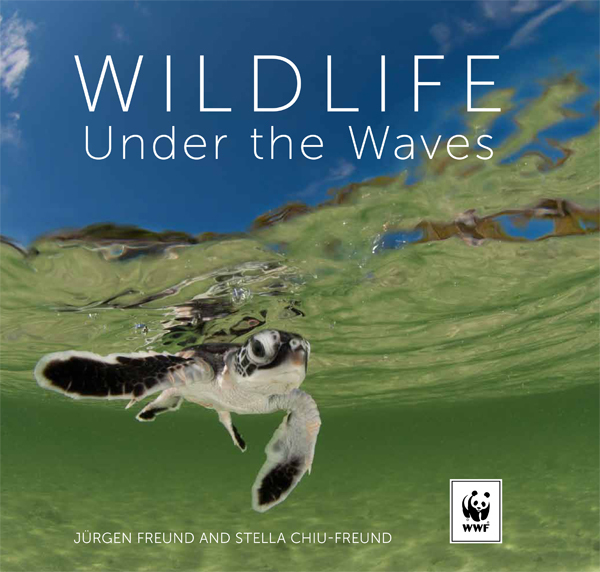 Award-winning husband and wife team, Jürgen and Stella Freund have been documenting the rich biodiversity of the oceans for several decades. They have encountered hundreds of species; everything from the tiny pea-sized pygmy seahorses to 15m long humpback whales, from gentle dugongs to deadly saltwater crocodiles. Divers, snorkelers and wildlife enthusiasts will appreciate the Freunds’ stunning photographs with their lively, informative captions. They offer an insight into a world rarely seen – a world with vibrantly coloured fish, nudibranchs, sponges and corals, perfectly camouflaged octopuses, poisonous sea snakes and magnificent whale sharks where fascinating behaviour and symbiotic relationships exist. Jürgen and Stella Freund have travelled the world documenting and highlighting the richness and the importance of the world’s oceans. Their dedication to conservation has seen them work extensively for many years with WWF, the leading organisation in wildlife conservation, and Jürgen is recognised as a Fellow of the International League of Conservation Photographers (iLCP) for his outstanding work, contribution to conservation and his ethical approach to photographing wildlife. This book shows some of the highlights of their travels in the Coral Triangle, Australia, the Pacific and North America: in coral reefs, mangroves, the open ocean and temperate waters. There are mesmerising images of glimmering shoals, colourful, patterned reef fish and nudibranchs, awe-inspiring dives with whale sharks, giant manta rays, sea turtles and dwarf minke whales and close encounters with venomous box jellyfish and blue-ringed octopuses. Jürgen’s split-level photographs beautifully illustrate just how much is hidden under the waves, and this book gives us a glimpse of some of the best that the oceans have to offer.